Characteristic Integrated Design. Aluminum Alloy Case. Monocrystalline Solar Panel. 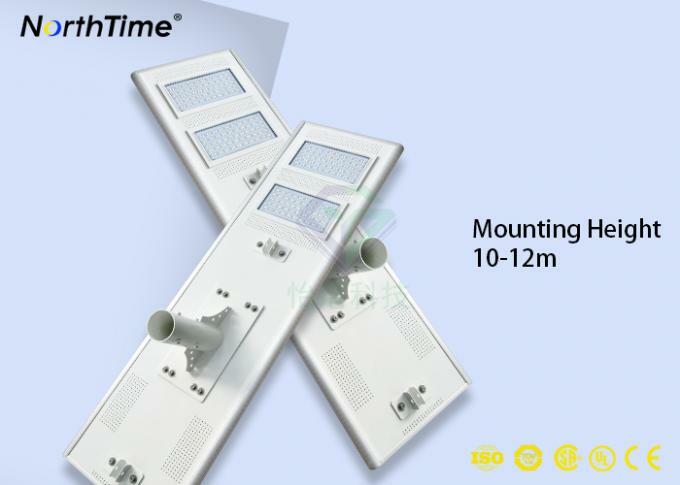 Light Control, Time Control, PIR Motion Sensor Control. 7 Rainy Days Backup. 120° Wide Lighting Angle, 12m Detecting Distance. 1. Remote control-Simple operation, change to different modes easily. 2. Wireless application-Integrated solar panel, LED, lithium battery, micro-controller and other accessories into one system, simple and stylish. 3. Micro-computer controlled-Combine motion sensor system, light control system and time Control system perfectly, ensure whole system more energy-efficient. 4. Easy installation-No power required, no cables required, easy installation in 2 minutes. 5. Solar panel angle adjustable-Rotate 120°, ensure maximum efficiency of solar energy conversion. 6. Extreme light-light efficiency reach 120l m/w, at same illumination, lower watt available. 8. Modular design-All components are modular design and in standardized production. 9. Long time working-Working continuously for 7 rainy days. 10. Low cost-Compared with traditional solar led lights, much lower cost, easy to transport. 1.Q: How many cycles full charge & discharge about your battery? A: In 50% discharging deepness, it can be cycled for 2000 times; in floating charging and discharging status, it can be cycled for 5000~6000 times. 2. 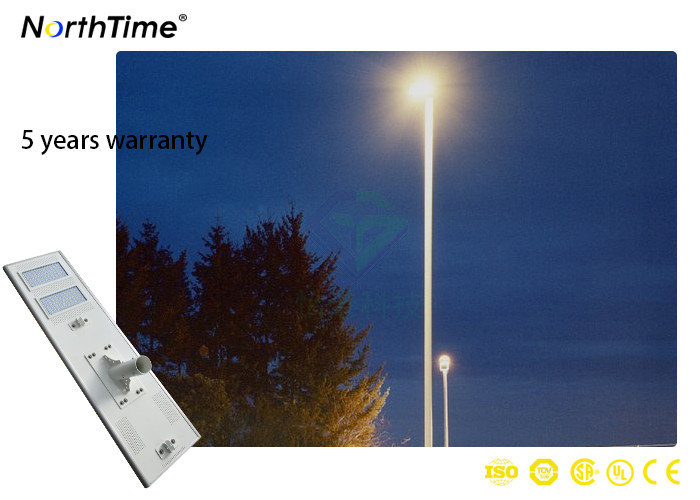 Q: How to Choose the System Voltage 12V or 24V or for normal solar street Light? A: We can design the System for 12v for solar street Light or 220-380V for normal street light. 3. Q: What's the main difference between mono and polycrystalline solar panel? A: Production process and cost. 4. 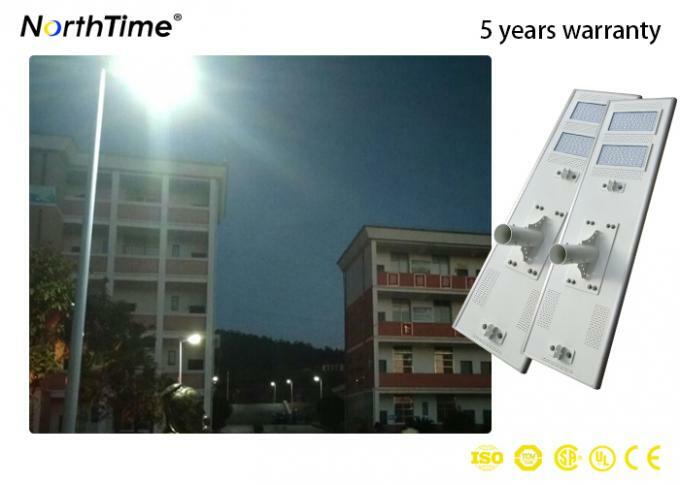 Q: The controller of your solar street light has dual time control function?